Forty miles off the coast of mainland Belize, the more than 200 mangrove islands of Turneffe Atoll have long been a Caribbean wonderland for divers, snorkelers and anglers. And for more than 40 years, Turneffe Island Resort — splendidly isolated on its own 14-acre private island — has welcomed adventure travelers. Surrounded by a healthy and diverse marine ecosystem that ranges from the smallest blennies and gobies to the largest pelagics, Turneffe Island Lodge is ideally situated on the 160-mile-long Great Maya Reef. 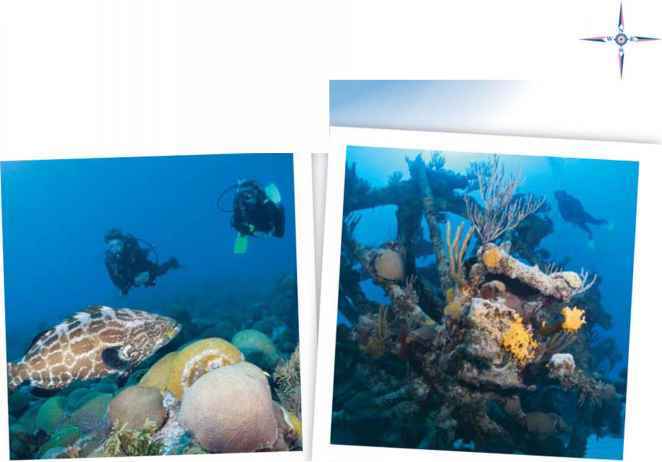 More than 70 dive sites await less than one mile from the resort's dock. The lodge is also ideally suited for day trips to the world-renowned Belize Blue Hole at Lighthouse Reef. 1. Pool and oceanside lounging 2. A beachfront cabana 3. Interior of cabana windows. You'll never hear a television or a ringing phone because those have been thoughtfully excluded, and to ensure that you fully enjoy the serenity of a private island, Turneffe Island Lodge accommodates a maximum of only 38 guests at any one time. All packages include three delicious Belizean/American meals a day, and complimentary transportation is provided between the mainland and the island on Wednesdays and Saturdays. 1. Pool and oceanside lounging 2. A beachfront cabana 3. Interior of cabana under the stars — this beautiful divers' and anglers' resort is the getaway that you've been searching for.